Home / Blog / What can a Treatment Coordinator do? What can a Treatment Coordinator do? 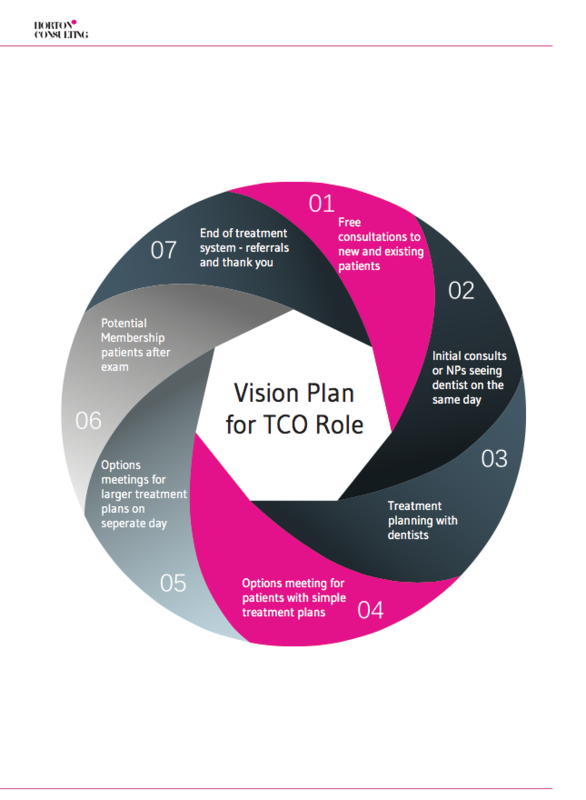 I am happy to share with you a vision plan for the TCO role! We have been using the vision plan for many years to enable us to prioritise the areas of importance when working with a practice on the implementation of the Treatment Coordinator role. If you already use a TCO could you take the role further? If the role is new to you, have you prioritised correctly? This image is copyright © of Laura Horton Consulting Ltd and is confidential. In no way must it be shared or copied.